Snapchat’s goal is to “emulate the best parts of face-to-face conversation” through its updated chat feature. In this blab from Friday, April 1, 2016, Erik Fisher and guests discuss the top news in social media. Topics include the latest Snapchat features (1:33), Instagram updates (28:04), and other industry news. Subscribe to future shows here. 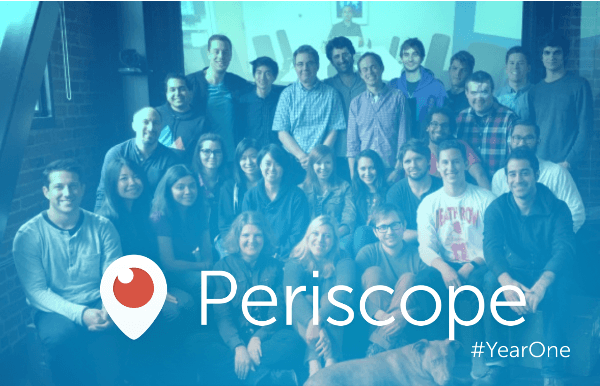 It’s been one year since Periscope was released to the world. 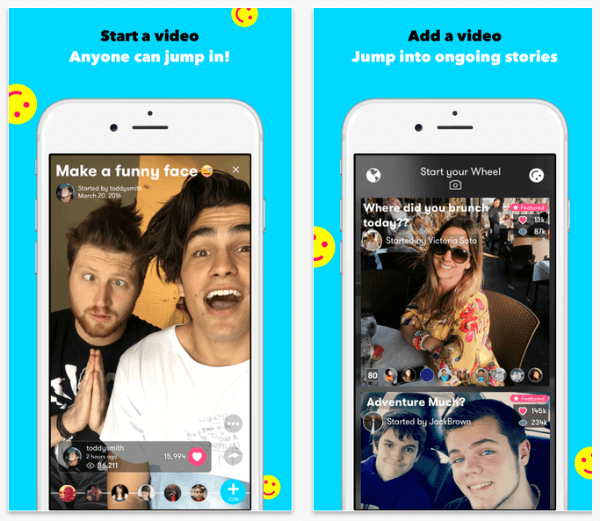 Wheel Launches on iOS: Wheel, a new social video app, allows you to “record a short video based on a theme of your choosing and your followers add their own contributions. This creates a chain of (hopefully entertaining) videos for others to watch before joining in themselves.” The Wheel app is currently only available for iOS. 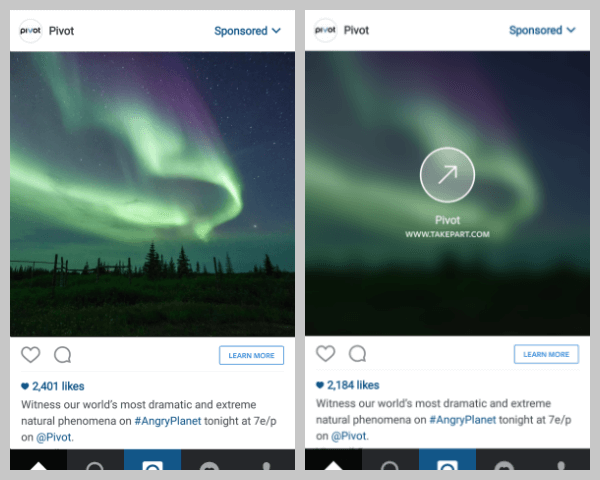 Instagram Gradually Rolls Out Longer Videos: Instagram is gradually rolling out “the flexibility to tell your story in up to 60 seconds of video.” This new feature “will be available for everyone in the coming months.” Instagram is also “bringing back the ability to make videos out of multiple clips from your camera roll” for iOS users. 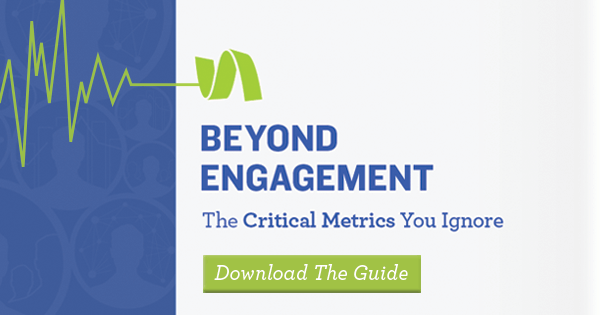 Beyond Engagement: The Social Metrics You Should Measure: When it comes to measuring social media, there is no word you hear more often than “engagement.” As social marketing matures, marketers need to move beyond engagement and on to the next level of models and analysis. 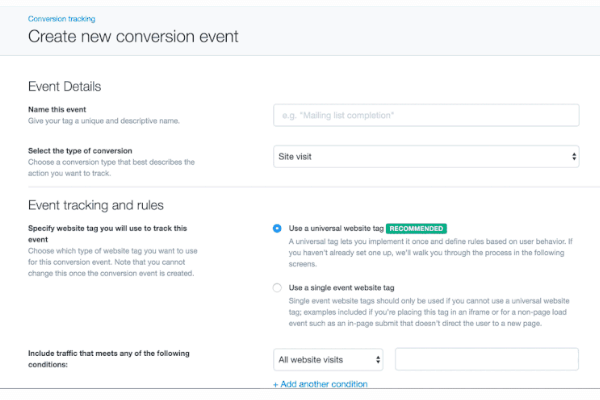 Discover how to use our Social Metrics Maps to level up on social in your organization. 2016 State of Marketing: In its latest State of Marketing report, Salesforce reports that 77% of the nearly 4,000 marketers polled believe that social media drives ROI, compared with just 31% last year. In addition, 67% of those surveyed are looking to boost their social marketing budgets this year. Sixty-seven percent are interested in spending more on social engagement and 65% are planning to invest more on social media ads. The Infinite Dial 2016: According to a recent report from Edison Research and Triton Digital on digital media consumer behavior in America, Facebook maintains the broadest awareness among respondents (93%). However, Snapchat awareness has grown quickly from 60% last year to 71% this year. Snapchat now takes the top spot for reach among social media users ages 12-24, and has surpassed Instagram usage among this same demographic. While Facebook continues to lose some appeal among youth, falling to 68% from 74% last year and 80% the year before, it continues to be the most frequently used platform among 12- to 24-year-old social media users. Digital Democracy Survey, 10th edition: The digital democracy survey from the consulting firm Deloitte explores evolving technology and media consumption trends and the influence of new devices and technologies on consumer behavior. According to this report, nearly three-fourths of Millennials (ages 19-23) surveyed say their buying decisions are influenced by social media recommendations. More than one-third of consumers under 50 and almost half of Millennials say their buying decisions are influenced by endorsements from online personalities. Changing Social Media Profile Pictures: According to a Pew Research Center survey conducted in early 2016, 18% of U.S. social media users have changed their Facebook profile pictures in light of an issue or event. Of those who updated their profile pictures, 42% did so following the Paris attacks in November 2015 and used a Facebook filter displaying the colors of the French flag. The study also explored other prominent examples of when social media users updated their profile photos to make a statement about a cause or public policy. 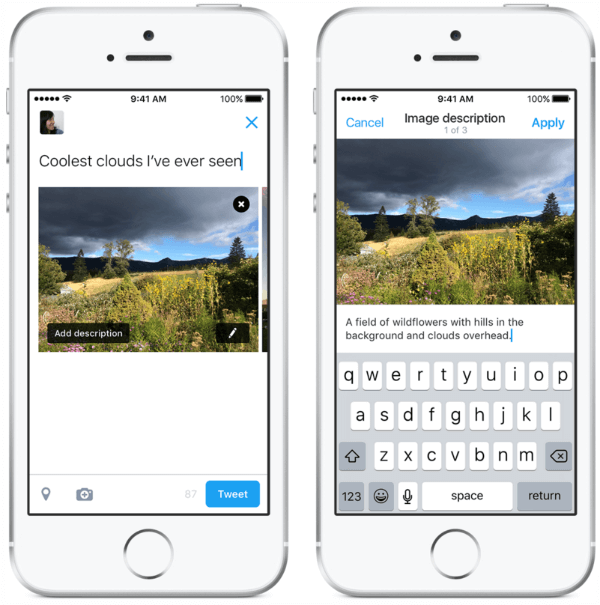 What do you think of Twitter’s new universal website tag? 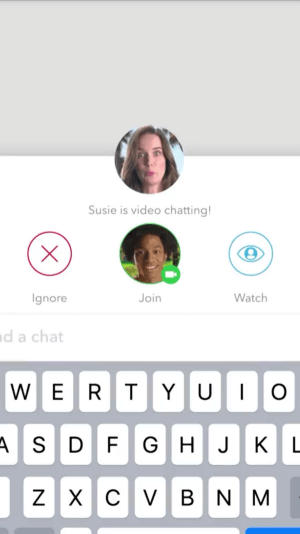 Have you tried the new chat features on Snapchat? Please share your comments below. 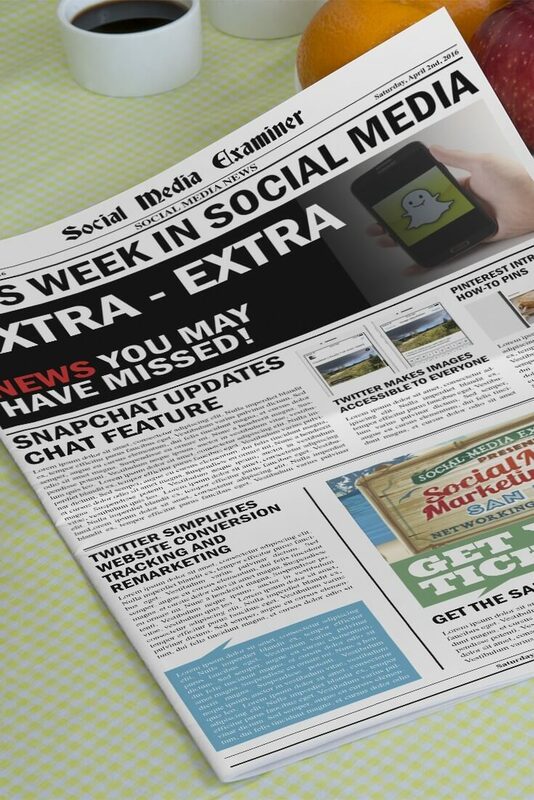 Snapchat Rolls Out New Features and other social media news for April 2, 2016.